Our drum lessons in The Woodlands TX instruction is offered as a weekly 30, or 60 minute private lesson for beginner, intermediate, and advanced students. Available styles include rock, metal, fusion, funk, pop, jazz, and more. Learn to play along with your favorite songs, or improve drumming technique for your band at school. 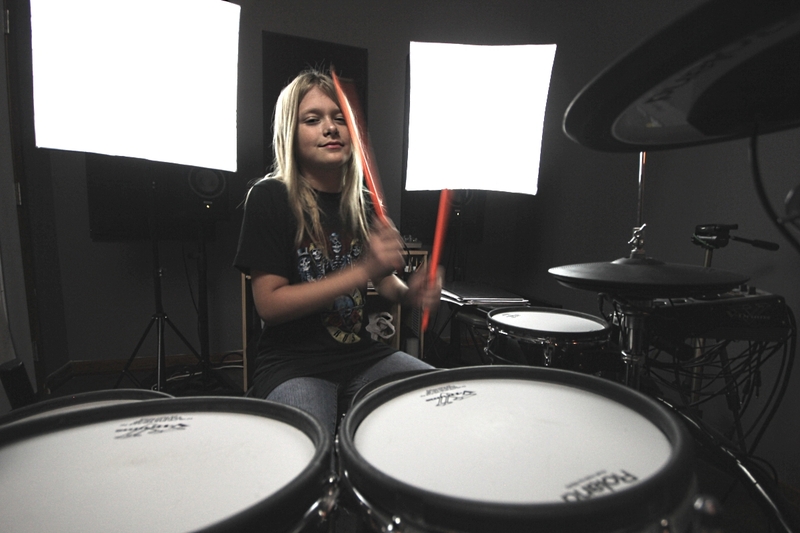 If your young one is full of energy and banging on pots and pans at home, drum lessons can be a great creative outlet! Beginning students will begin studies learning the fundamentals alongside learning music and real drumming applications . Intermediate and advanced students will work from customized lesson plans to achieve short and long term goals. Because of sound considerations at the school, lessons are given on a high-end electronic drum sets. Whatever your goals are, our drum teachers are here to help you and personalize a lesson plan for you. All drum students at Pro Music Instruction have the opportunity to perform and record high quality drum cover videos that they can share with friends and family or post on their social media and YouTube accounts! At Pro Music Instruction, we provide experienced and talented music teachers who are skilled at teaching students of widely varying ages, experience levels, and personalities. We have lessons available 6 days a week to accommodate your busy schedule.